IMPAX is dedicated to designing and manufacturing an extensive range of high quality and reliable locks and hardware. 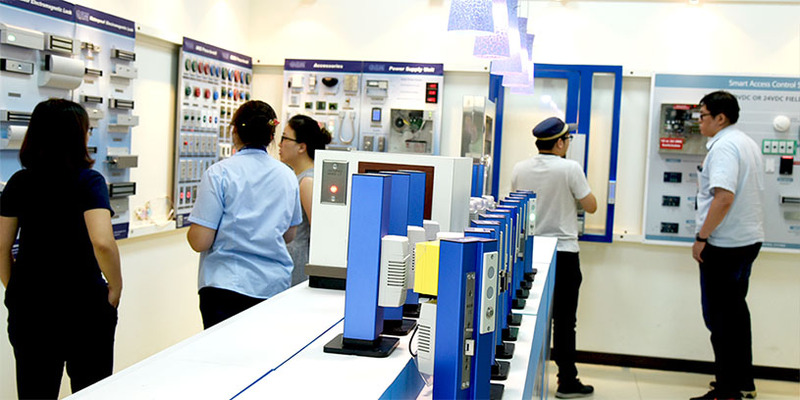 With continuous development and improvement, we always deliver innovative products and security solutions to our customers. The following describes how we have improved production, quality control, and security standards in recent years. Engineer personnel from production lines develop an assembly machine for access control products. Operating semi-automatically, this assembly machine not only improves production speed and quality but also relieves employees" pressure. 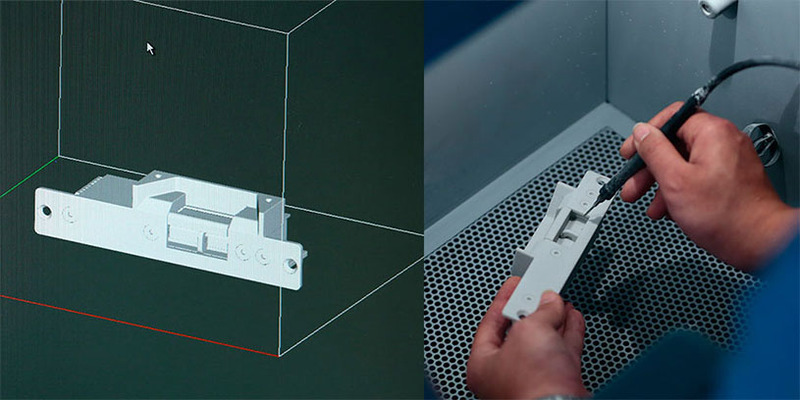 The left picture shows personnel assembling the electromagnetic lock with aluminum housing. The right picture shows personnel assembling call points. Information management is the nervous system of a company. Our ERP system, monitoring system, access control system, and database are instituted according to different servers. The picture shows information management personnel maintaining information security. 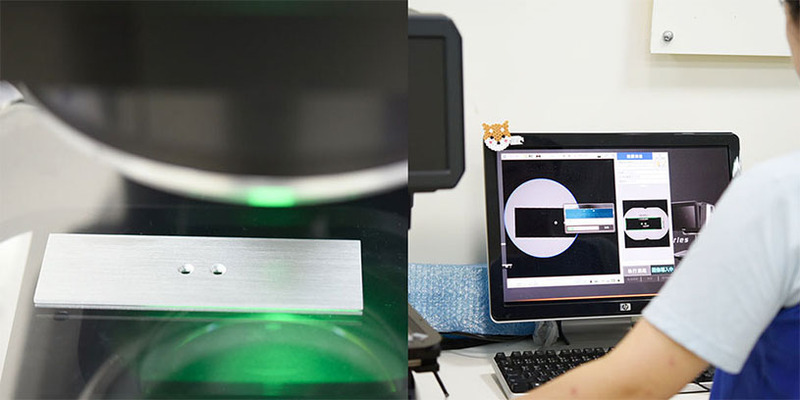 In the end of 2017, the IQC division of Quality Control Department introduced the image measuring instrument (KEYNCE, IM-7000 Series) to precisely inspect the goods from our suppliers. In 2017, a 3D printer (PJ2500PLUS model with light-hardening technology) was introduced for our own self-production as well as ODM products to enhance development and further establish close ties with ODM clients. Product stability testing is intimately associated with the impact of life time and environment on products. The left picture above shows cycle tests for electric strikes. The middle and right pictures show the inspecting instrument used to test if the electric dropbolt still functions below the temperature of -40¡æ. For electromagnetic locking devices, holding force is the most significant measurement index. 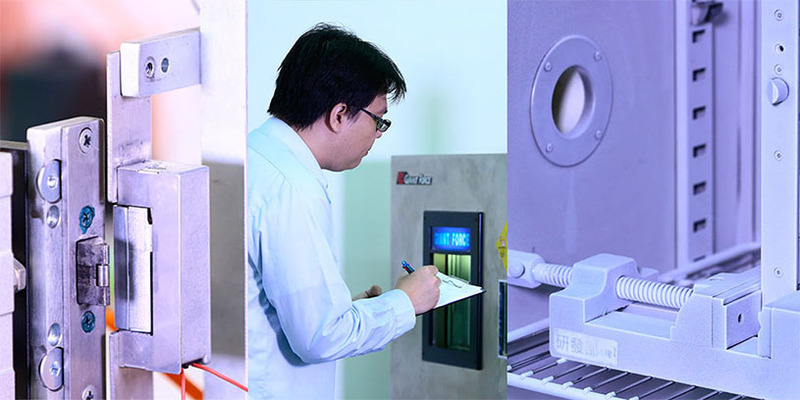 We continually improve holding force using an advanced testing equipment to inspect if electromagnetic products have met standards. The exhibition room currently displays our most popular products. We have a full range of product display and professional personnel to demonstrate and explain how these products operate. Welcome to visit our company for further product information.